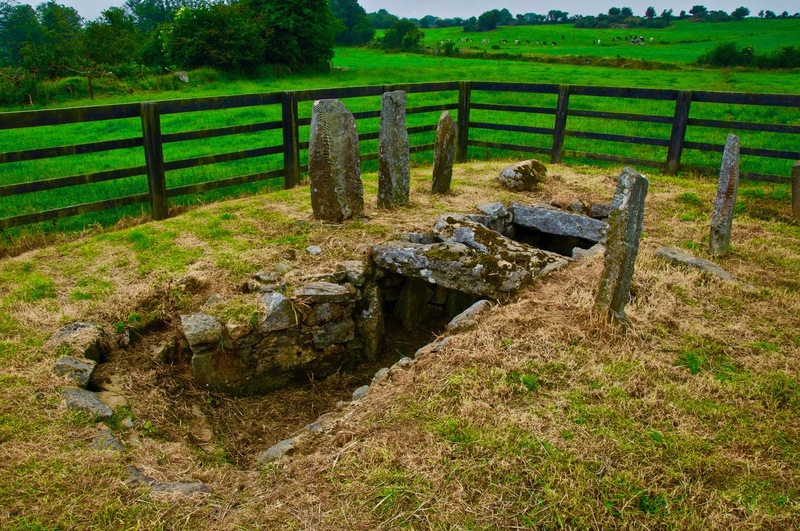 Knowledge of South Munster’s past is largely derived from surviving literature, folklore and the investigation of its archaeological heritage. Its archaeological heritage is largely understood from the perspective of its surface monuments either still visible to some extent or traceable beneath the sod layer. 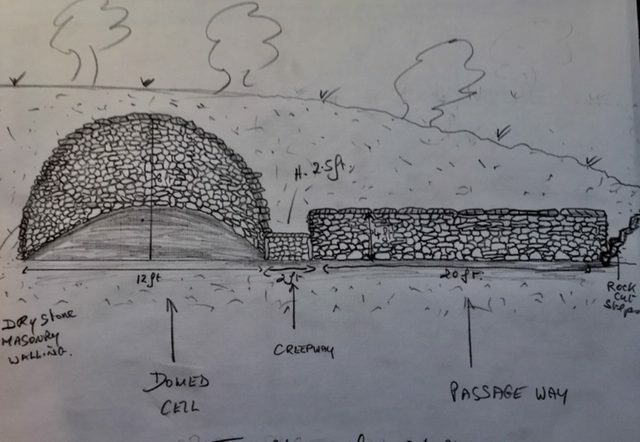 However, there is one monument type which is the outcome of creating underground spaces by either tunnelling into the underlying rock and subsoil beneath the surface sod and soil layers, or by trenching through such layers to create sub-surface masonry structures. The archaeological literature of Ireland, over the past two hundred years or so, has categorised this monument type using the French term souterrain i.e. sous meaning under and terrain meaning ground. Keyphrases: Souterrains. Ireland. Ecclesiastical. Cork. Kerry. Waterford. Tipperary. Limerick. Medieval. Munster. South Munster. Landscape. Geography. Historical. Maps. Tribes. Topography. Architecture. Engineering. Church history. Souterrain. What is a souterrain? In South Munster terms the word refers to a range of architectural forms which were created underground across its landscape area during the Medieval Millennium. Put in very simplistic terms these architectural forms could be described as artificial caves. 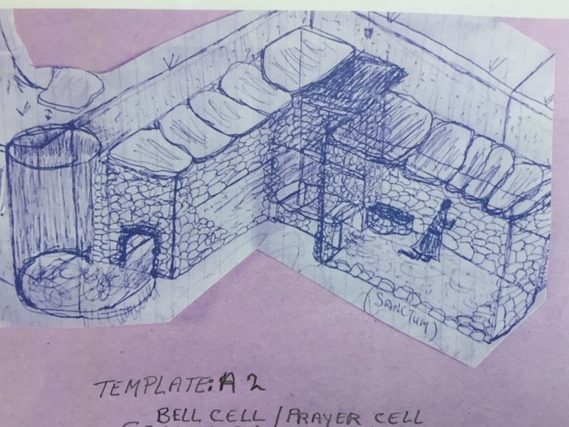 In my view these architectural forms range from those examples which were created as cellars, to those created as shrines, to penitential cells (bell cells, prayer cells), to oratories, to tig faoi talaimh (underground house). This interpretation of function therefore defines the architectural forms created. Souterrains are frequently though not always associated with circular enclosure earthworks known in the archaeological literature as ringforts. These earthworks have two structural entities which are the lios space meaning the interior space and the surrounding rampart enclosure i.e. the rath. The rampart can consist of a single bank and ditch (univallate), a double bank and ditch (bi-vallate), a triple bank and ditch(tri-vallate). Many scholars interpret such distinctions as implying status. The words rath and lios in their anglicised spellings are a common feature of Irish place names e.g. Rathcormac meaning Cormac’s rath, Liosmullane meaning Mullane’s lios. Other Gaelic words used for such structures are dún and perhaps dangan. In the 18th and 19th centuries a local folk term Dane’s rath was encountered by antiquarian researchers and interpreted as implying that such structures were built ‘by the Danes’ i.e. Viking settlers. However this monument type is both older and later, as well as contemporary, with the Viking Age in Ireland. Another, often similar or alternatively oval, irregular shaped or rectangular, surface monument type associated with souterrains or ogham inscribed stones is a cillín meaning little cell. In later medieval times the word cill often came to be associated with a parish church especially if a local church founder had his or her cell at the site. The word cill meaning cell is also a very common Irish placename as is the word element clon referring to a meadow (cluain) but implying a spiritual one i.e. a hermitage. Finally, the words Caher (city) and Caiseal (castle) are Gaelic placenames which refer to drystone built enclosures often seen as just drystone built versions of a lios/rath. However they do not have the same meaning as their modern equivalents. A caher often appears to have monastic associations such as ‘caher an díseart’ meaning the ‘city’ of the desert. Ireland’s climate does not produce deserts, the concept was imported from Eastern Christian traditions to refer to wilderness places i.e. green deserts. Caher appears to refer to a central, a common place of gathering within a semi-cenobitic monastic setting. The word caiseal appears to be derived from Roman castellum implying a secular local political focal point. Beneath all these words there may also be a story of overlay of christian evangelising upon pagan secular places. The precise northern boundary line of the land area defined as South Munster is difficult to define. It was not a mapped boundary, nor would it have been a lineally defined one. For the purposes of this study I define South Munster’s northern boundary as a notional one spreading from the Dingle Peninsula to Tralee and west to the Mullaghareirk Mountains, to the Galtees – including South East Limerick, to Cashel and then as its eastern boundary southward to the River Suir following the Suir to Waterford Harbour. The south and western boundaries of the territory are seascape with many island and promontories. In total about 2,000 souterrain discoveries have been reported for South Munster over the past two and a half centuries. New discoveries are ongoing. They are most heavily concentrated in the South West of the territory. Why, is a question for further research. In the other provinces of Ireland ( see the Sites and Monuments Record -SMR database, under Archaeological Survey of Ireland at archaeology.ie) there appear to be similar focal points of high density from which the distribution patterns gradually thin out, and fan out, radially to some degree. Whether or not this represents a historical pattern of behaviour or is just the outcome of what is currently known, is another question for further research. The majority of known souterrain discoveries are on private land and are not therefore places of public access. Permission to see a site should be sought from and is at the discretion of the landowner. Many sites are closed in for safety reasons shortly after discovery and the precise location may be forgotten. 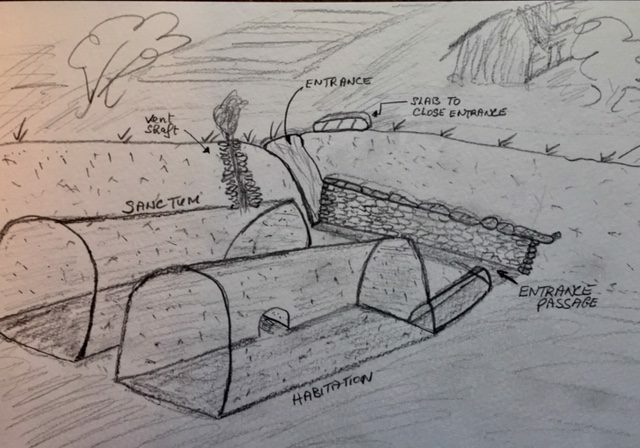 It would be helpful to future scholars wishing to study our souterrain heritage if some method of maintaining access was applied when a site is discovered. It would also be useful to have the precise locations of sites investigated by antiquarians once again identified. Anything found, be it animal bones or artefacts or other, in a newly discovered souterrain should be left in place until examined by a member of the Irish Archaeology Profession and Museum Services. The monument’s structure should not be further damaged in any way. There is a wealth of information, valuable to a long term understanding our national heritage, to be gathered from each new site discovery once investigated professionally. It is important to be aware of the Irish National Monuments Act (1930 and 2014) and the National Monuments Service (archaeology.ie) and to report all discoveries to them promptly. Souterrain exploration can be a dangerous activity. 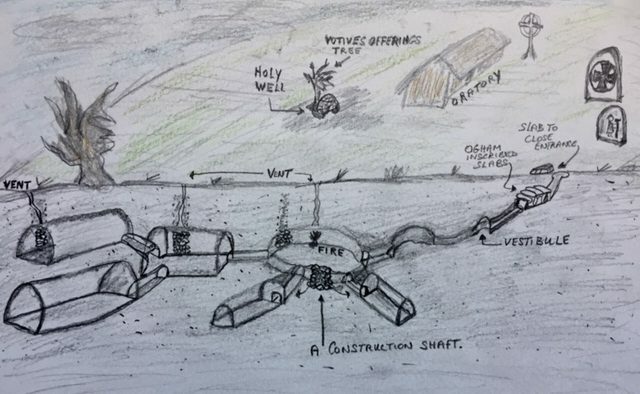 A tunnelled site may have become unstable due to various types of surface activity. 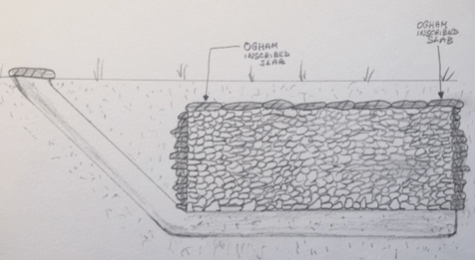 Portions of a drystone built souterrain may collapse if capstones are removed. There are several potentials hazards of this nature. The dimensions of souterrain spaces are such that most often one cannot stand up inside and instead all movement is done by crawling. Souterrains can be damp and dirty places. Some have been used in past times as dumping areas for dead animals and other waste. Some have been occupied by foxes. The creepways between souterrain chambers can be tight to move through. Persons who suffer from claustrophobia can find souterrain exploration to be something to be avoided. 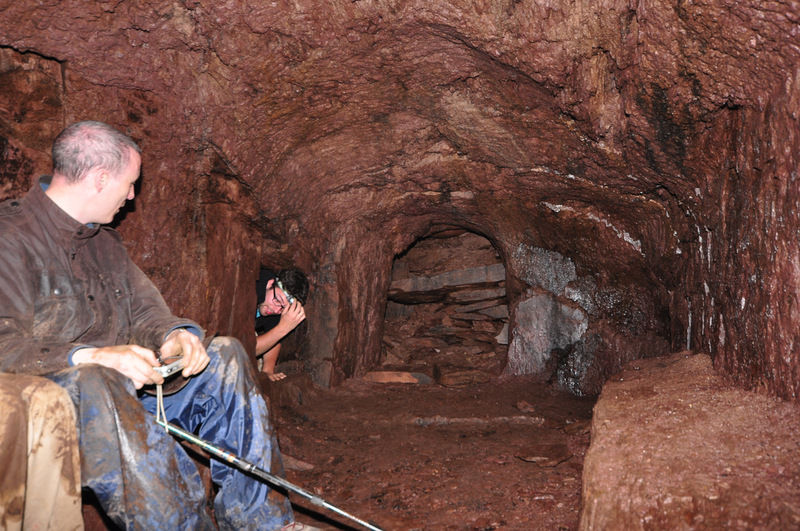 Much can be learned from speleologists about how to explore underground spaces such as souterrains and about the precautions required. 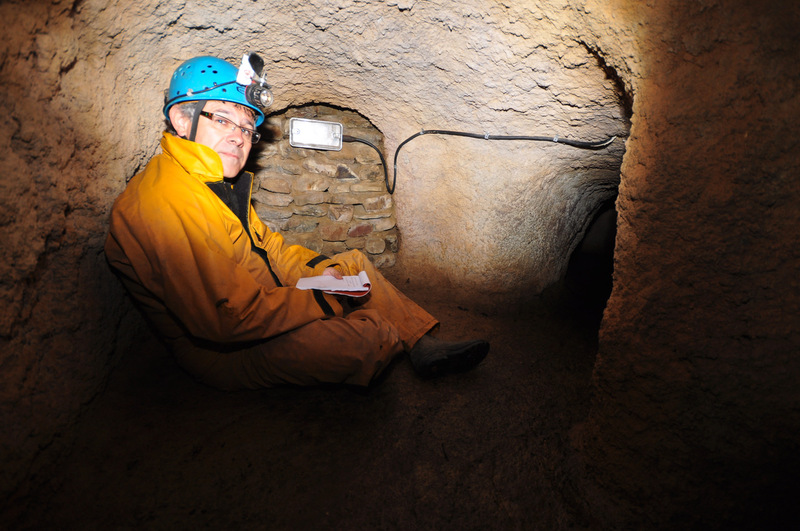 The readership audiences I have had in mind during the course of my research are individuals and groups with a strong interest in souterrain studies, archaeologists, historical geographers and local historians. What is in my research is just a beginning, a platform to be added to, as a means of evolving a more detailed and organised understanding of the monument type and of its cultural heritage significance. Over the many years in which I have been interested in souterrains I have received help and support from so many people both during fieldwork, through conversations, via email enquiries and in relation to literature searches. This website will be under construction for some time to come as there is a lot of research information which I have yet to add to it using the Notes and Queries Section as well as the Work Desk Section of this website. As this progresses I will add a more detailed and comprehensive statement of individual acknowledgements. My sincere thanks, at this point in time, to all who have encouraged and assisted my interest in progressing my research, since I first became interested in souterrains circa 1975 . My thanks to Dr Eamon P. Kelly for making the initial suggestion to me while working with him at the Simonstown excavation in Navan, County Meath. 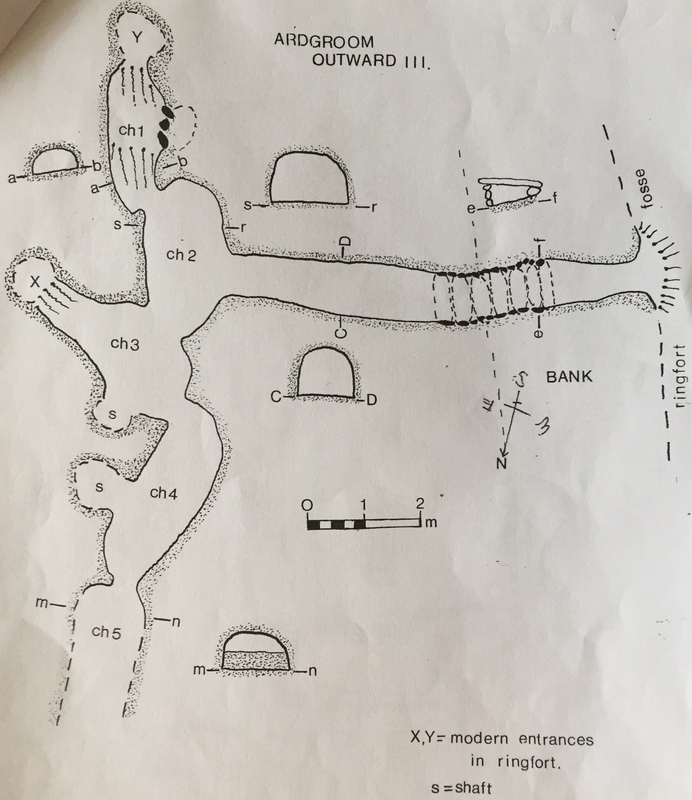 My thanks to the late Professor M.J. O’Kelly for encouraging and supporting my efforts, as a Masters student of Archaeology from 1975-77, to come to grips with the scale of work involved in local souterrain research. The mid 18th century work of Dr. Charles Smith on Waterford, Cork and Kerry has formed a solid foundation for subsequent study of the heritage of South Munster. In the 19th century Cork antiquarians such as John Windele Cork antiquarian, Dr. Richard Caulfield antiquarian and librarian at the University in Cork, Richard Rolt Brash the Cork architect and amateur antiquarian among many other contributors, greatly added to the body of information available to those seeking knowledge about Cork’s past including its souterrains. I must also acknowledge the trojan work of Rev. Canon Patrick Power, author of The Placenames of Decies and an early professor of Archaeology at Cork. In the 20th century the work of archaeologists at the Department of Archaeology in Cork such as Sean P. O Riordáin, M.J. O’Kelly, Dr. Edward Fahy, Dermot C. Twohig, among many others added significantly to the body of reliable scientific data available for the study of souterrains in Cork. The topographical files of the Department as well as those at the National Museum of Ireland were invaluable during my early research days. Details of the souterrain record for those Munster county areas which come within the landscape of South Munster can be found in the SMR (Sites and Monuments Record) database of the Archaeological Survey of Ireland (archaeology.ie). The Irish Placenames database www.logainm.ie has been exceptionally enlightening and helpful, both in terms of translations and explanations of local names, as well as through the access it gives to archival records for earlier names of such places and associated folklore. Samuel Lewis’ 1837 Topographical Dictionary of Ireland www.libraryireland.com/topog/ has been very informative when attempting to consider the nature of local parish landscapes, their topographies and natural resources, with a view to speculating on how souterrains came to occur in certain parishes. Rev. Fr. Patrick Dinneen’s 1927 Foclóir Gaedhilge agus Bearla An Irish-English Dictionary has been a great companion during the past 10 years of my research. From a North West Cork/ Kerry (Sliabh Luachra) scholar a masterpiece of lexicographical scholarship in the Irish language and a cornucopia of memories of traditional Irish folklife and culture embedded in that language. A particular delight to read – for someone whose education in the Irish language began at primary school level in the 1960s – when printed in its original Gaelic type font. My thanks also to Dieter Ahlborn in Germany for much encouragement and for publishing my articles in Die Künstliche Höhle (2017, 2018, 2019) -see www.erdstallforschung.de and to Udo Tolksdorf for translating. 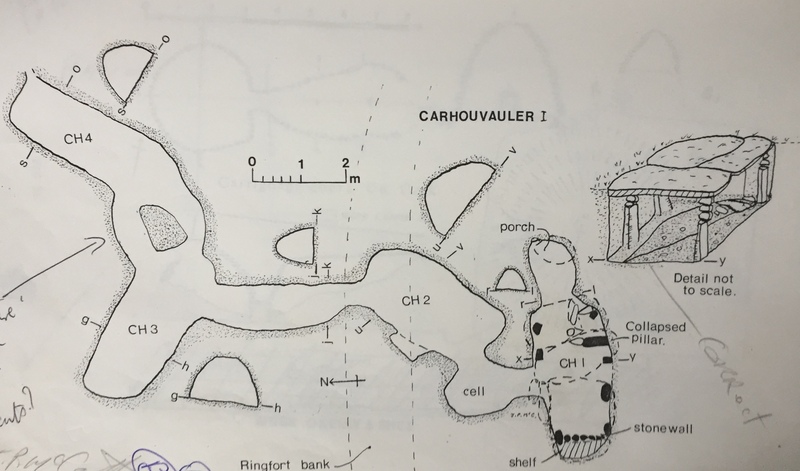 I am grateful to Luc Stevens of the Société Française d’Etude Des Souterrains (sfes.chez.com)for the opportunity to present a paper about Irish souterrains at one of their meetings some years ago. Also I very much appreciate publication in the Société’s bulletin of my Dunisky paper and the translation of it by R. Delavigne. Sylvia P. Beamon of Subterranea Britannica (www.subbrit.org.uk) kindly encouraged me to publish in their bulletin (1979 and 1983) in the initial years after finishing my Masters thesis on Cork souterrains. Joël Lecornec of the Société Polymathique Du Morbihan (polymathique.fr) assisted my enquiries regarding souterrains in Brittany, which was very welcome and informative. Much thanks goes to Carla Galeazzi at Egeria, Centro Ricerche Sotterranee in Italy (speleology.it) for answering my enquiries over the years. A sincere thanks to Prof. Donnchadh Ó Corráin who introduced me to the Eoghan Mór of the Fiteccs text many years ago and for translating it for me. There are many friends and colleagues who have assisted me as the years went by, in particular Mrs. Mary Lombard at the Library of University College Cork. My thanks to Cork City and County Archives (www.corkarchives.ie) for permission to use of a detail image from Patrick Aher’s Dooniskey (Dunisky) maps contained in the Doherty Papers Ms. U137. Lastly, I owe a huge debt of gratitude to my wife Rosemary, always beside me since 1976 whether in the field and underground, typing my manuscripts or offering wise counsel when I needed it. This website is Still Under Construction and it is also in the process of being edited. Originally written with the intention of publishing a book, the Chapters here are to an extent unfinished until the final editing has been done. This will happen in the weeks to come. The research has not been comprehensive as the focus was largely on County Cork, given, as far as I’m aware, that there is no collocated corpus of site plans, of detailed survey descriptions and of classification work for other South Munster county areas similar to my 1977 work on Cork. Analysis work on the content of the archaeological survey files for these counties would be fruitful as would classification and assessment of the data quality – and detail levels, of what is currently known. Adding detailed information about the souterrains of the other counties which are part of the South Munster study area is an ongoing ambition for which help would be welcome. The classification system I have created is just a an instrument of analysis and can be revised or modified to fit any other architectural forms which may emerge from detailed study/analysis of the souterrains of the other South Munster counties. The distributions of particular architectural forms may all fit with the distributions revealed by my classification scheme; given that the topographies were not dictated by the later concept of counties. They may not fit with barony or diocesan or civil parish divisions either for the same reason. They represent later paradigms of landscape identity, orientation and mobilities. As with Cork many reported sites are not recorded fully or scientifically and many of their precise locations may have been forgotten. Many have been closed for a long time without ever being surveyed or properly described. It is important to continue to build a comprehensive and well structured database for these monuments given that they are three dimensional, often in pristine condition, survivals of the architectural and social history of the South Munster landscape. 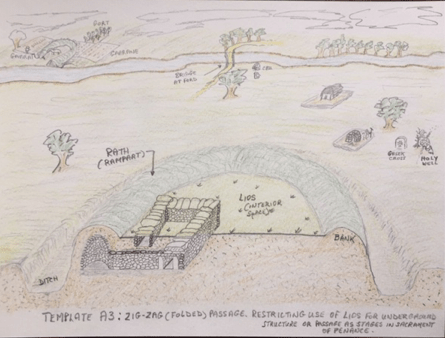 Finally, the graphics created for the site class templates, the conjectural reconstruction showing a motte and bailey at Dunisky, and the distribution maps, are my own attempts at illustrating my thinking. The quality of these drawings needs improvement and hopefully as time progresses more professionally produced drawings can be made to replace them. Template for an A1 class souterrain i.e. single drystone built chamber with short slide passage to the surface. Sometimes with ogham stones used in construction. Derived from several County Cork examples. This image shows a longitudinal cross section of the structure with an indication of the floor area in front linking to the slide shaft entrance. Ogham inscribed stones are not usually found in association with A1 sites but there is a report of one from Cooldorragha, County Cork and in County Waterford the Dromlohan single chamber souterrain had 10 inscribed stones used in its construction. Template for an A2 class souterrain i.e. two galleries drystone built at right angle to each other connected by a creepway. Drop-hole entrance. Sometimes with ogham stones used in construction. Template for an A3 class souterrain i.e. 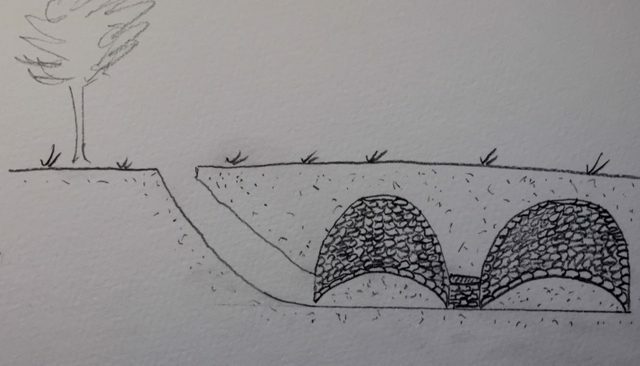 zig-zag or folded plan, drystone built. This example situated in a ringfort. Template for a B1 class souterrain i.e. a dome chamber and long passage joined by a creepway. A drystone built site. Template for a B2 class souterrain i.e. two or three domed chambers with short entrance slide passage. A drystone built site. Sometimes, such as at Caherdesert Co. Cork, some chambers may be clay tunnelled rather than drystone built. Template for a B3 class souterrain i.e. four or more chambers. Some B3 sites may be B2 sites expanded. A drystone built site. Template for a C1 class souterrain i.e. two chambers with long axes parallel and joined by a creepway, clay tunnelled with dry masonry entrance passage and slide shaft entry from surface. Template for a C3 class souterrain i.e. 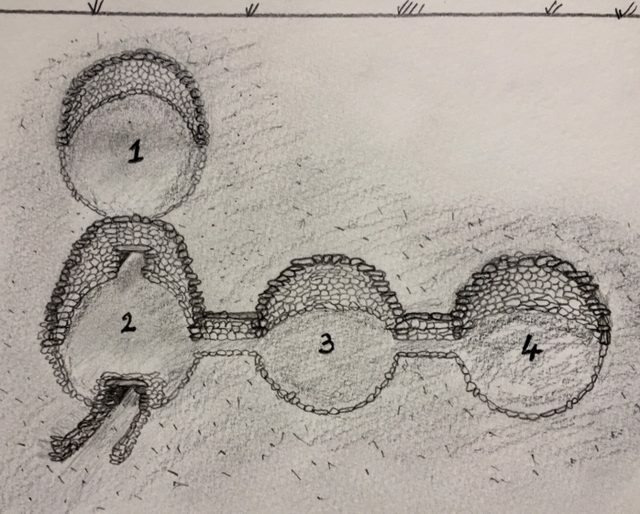 several clay or rock tunnelled chambers joined by creepways, sometime by a longer passage way, with a slide shaft entrance. Sometimes with ogham stones used in vestibule at entrance. The Dunisky Souterrain. A refuge and storage souterrain beneath the grounds of a church at an Anglo-Norman settlement. 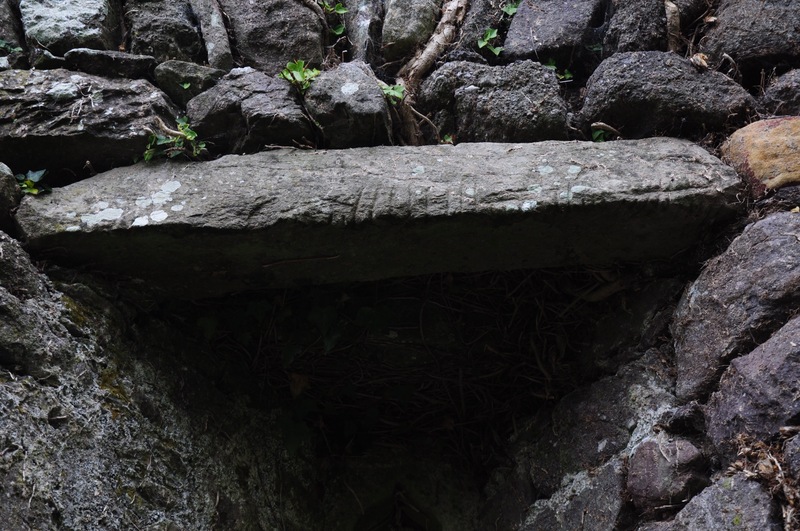 At Leachanabuile caher, Co. Kerry there is a souterrain entered from a circular hut site. Close by in the caher wall a separate chamber exists. Are wall chambers like the above also souterrains? Ardgroom Outward, Co. Cork. 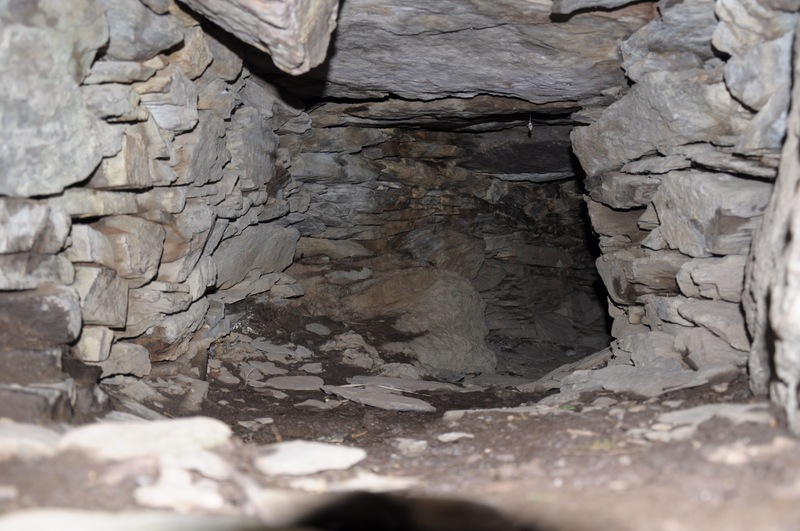 Souterrain in a ringfort interior entered or exited by a long passage opening into the ditch. The Carhoovauler ringfort souterrain, Co. Cork. The souterrains runs out beneath the ringfort bank and ditch. It also has an entrance box (vestibule) constructed with stone slabs, some of which contain ogham inscriptions. 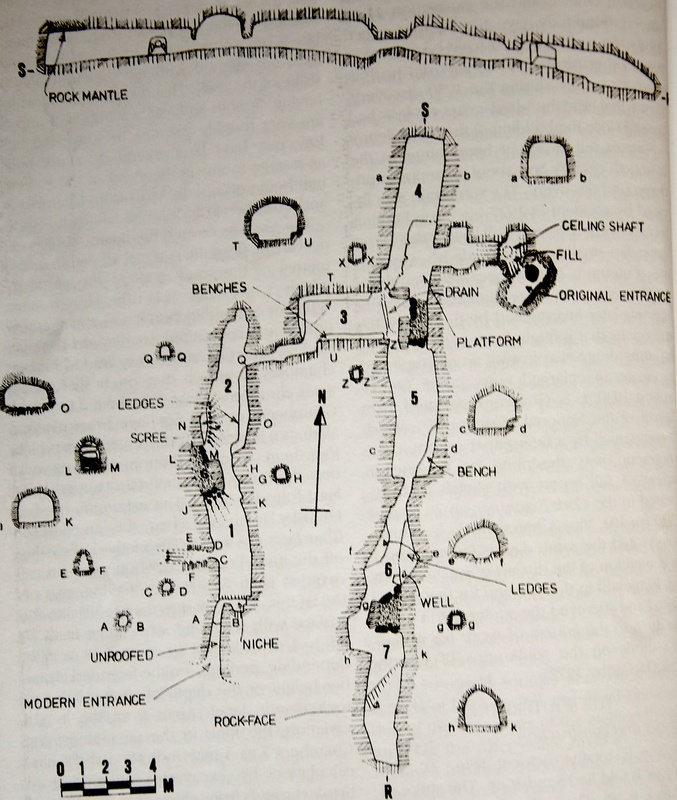 An Enquiry concerning the Souterrain World of South Munster. © Copyright Souterrains 2018. All Rights Reserved.